helping solve financial problems and build wealth since 1960." Glazer Financial Network is a full-service financial firm dedicated to providing unique solutions to the monetary, financial, and tax problems of professionals. They specialize in a custom analysis for each professional with specific suggestions directed to potentially increase net worth, lower effective income tax bracket, use qualified plans to generate tax deferred growth and tax-deferred income, lower estate taxes, or preserve assets. The Glazer Financial Network team contains a wide range of professionals certified in various areas including: Enrolled Agent; Certified Financial Planner; and Chartered Retirement Plan Specialist. Maurice M. Glazer has been a financial advisor for over 40 years. He has been a featured speaker at medical associations in Illinois, Texas, Oklahoma and hospital organizations throughout the U.S., including Baylor and Methodist, covering topics on Qualified Plans and on Creating Your Net Worth. Mr. Glazer has written many articles and publications and has appeared on Syndicated TV and many local broadcasts. David Glazer is President and Chief Operating Officer of Glazer Financial Network, GFN Capital Management, Doctors Resource Services, The Pension Specialists and Glazer Property & Casualty. David has over twenty years of experience as COO in managing the GFN properties while maintaining a strong portfolio for his personal clients. Leigh Goldblatt is an action oriented, dynamic advisor having worked in the financial services industry for over twenty years. At Glazer Financial Network, Leigh’s primary goal is to build long-term relationships with his clients by leveraging his talents as well as those of the firm and partner firms. Leigh is passionate about identifying his client’s lifestyle objectives and designing optimum financial strategies and tactics to accomplish client goals. His area of focus includes designing and creating pension plans, building client wealth while managing investment risk and business consulting (strategy, tactics and tax). In addition to his responsibilities working with Clients, Leigh serves as the Chief Compliance Officer for GFN Capital Management and assists in managing pension plan activities for The Pension Specialists. His professional licenses include the FINRA Series 6, 7, 63, 65 and General Lines Insurance Agent. Leigh maintains the Chartered Retirement Plan Specialist designation to stay current with developments in the Pension area. Brandon Moore works with high net worth clients to establish and maintain retirement goals. He has over 10 years of experience in the industry. He married in 2003 to his wife Janie and they have identical twin girls Mimi & Keeley. Series 7 & 66. Frank has more than twenty years experience working closely with a variety of small and large corporations including physicians and those in the health care industry. He provides dedicated service to clients by managing areas of focus in group and individual benefits including: health & life insurance, long term care, disability insurance, investments, annuities and money management. Frank is a graduate of Stephen F. Austin State University. He is married to his wife, Serena, with two children, Natalie and Dillon. Garry Schierling has been employed as tax consultant and advisor with Glazer Financial Network since 2002. Mr. Schierling has been a tax preparer for over 12 years in the US and in public practice in Canada for 18 years; providing tax solutions for individuals and the small to medium business. Garry obtained his Enrolled Agent designation in 2002 (US). 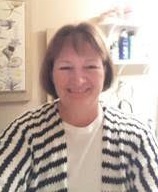 Mindy New has over 20 years of bookkeeping and tax experience. Mindy has worked with a broad range of industries, specializing in the medical field with medical management experience. Key Strengths are complex bookkeeping cases, tax strategies and IRS representation. Roxanne Howza is a tax preparer with over 12 years of experience preparing individual, partnership and corporate tax returns. Roxanne also prepares, reviews and assists with journal entries, general ledger accounts/transactions and balance sheet reconciliation. Roxanne earned her Master's Degree in Accounting and Information Management from the University of Texas at Dallas. Roxanne enjoys watching football and basketball and enjoys spending time with her 2 year old daughter Elle and husband Mike. Teresa Johnson has been in the tax preparation industry since 1998 and earned extensive experience in tax preparation, bookkeeping and financial statement preparation for individuals, partnerships, corporations and non-profit organizations. Ms. Johnson is also proficient in return preparation for Americans living abroad, including additional filing requirements for Americans with foreign bank accounts, foreign trusts and foreign corporations. Xuan Thanh Nguyen earned her Bachelor's Degree in both Accounting & Finance with honors from California State University, Fullerton. While in school, Xuan also worked as a bookkeeper ans volunteered for an IRS program (VITA). Xuan was in a private CPA firm in California before joining our Glazer Group. Xuan is specializes in preparing financial statements and tax returns for individuals, Corporations, and Partnerships. She is currently preparing to take the CPA exam. Albina is a native of Russia. After attending the Foreign Language Institute in Omsk she relocated to the United States in 2004. She began her career in accounting in 2007. Over the past 8 years she has accrued much experience in bookkeeping, accounting and in tax preparation. She also holds Health & Life insurance licenses. Albina is married and has a 9 year old son. Lona joined Glazer Financial in January 2017. She has been a tax preparer for over 15 years and has worked in various CPA and accounting firms across Texas preparing individual, partnership, trust, and corporate tax returns. Lona also has experience in preparing journal entries, general ledger accounts/transactions, balance sheet reconciliation, auditing for-profit, governmental, and not-for-profit companies. As a result of preparing Texas Franchise taxes, Lona has become very proficient in dealing with the Comptroller’s office and the Secretary of State in resolving issues of various types of tax returns. Peggy Chien has been a tax preparer since 2006. She has extensive experience in preparing individual, partnership and corporate tax returns. She prepares bookkeeping and financial statements as well. She obtained her CPA license in 2008. She enjoys watching baseball and basketball games and she loves to spend time with her family and friends. Belinda has been part of our Glazer team for 3 years and has worked in accounting and CPA firms since 1989. In her spare time, she enjoys spending time with her husband, 6 children and 5 grandchildren. She also enjoys baking, watching NFL football, the Texas Rangers and playing poker. Jodi Glazer joined the Glazer Group in 2005 as the receptionist, and became the Office Manager in 2008. She is also the Pension Coordinator, and is responsible for the administration of all pension plans for our clients. Jodi currently resides in Plano, TX. She is on the planning committee for the Lung Force 5k walk with the American Lung Association, and a proud participant of The Walk to End Alzheimer’s. Jodi is obsessed with her two boxers, Gemma and Harley. She is a huge Dallas Mavericks fan and enjoys traveling to new places. Lynn joined Glazer Property & Casualty in December 2011 as a General Lines Insurance Advisor after being a client of the firm for over 30 years. He has over 14 years of experience in the insurance industry helping families and businesses with their insurance needs. He specializes in auto, home, life, business, disability and long term care insurance. Lynn’s promise to his client’s is to provide great service before, during and after purchasing a policy with him. Lynn currently resides in Dallas, TX with his wife Margie Benedetto. He graduated from Bishop Lynch High School and afterward attended SMU where he received his Bachelors in Business Administration. Lynn donates blood regularly to Carter Blood Care and recently reached the 55 gallon donation mark as of 2016. He has been an Usher of his church for over 20 years. Jessica joined Glazer Property & Casualty in August 2011 as an Insurance Account Manager. She is responsible for the new business and renewal quoting, account management, support, and service for Glazer Property & Casualty’s clients. Jessica is a licensed General Lines Property & Casualty Insurance Agent, and recently completed and received her Foremost Landlord and Rental Property Insurance Specialist Designation, and the Foremost Manufactured Home Insurance Specialist Designation. Jessica currently resides in Dallas, TX with her husband Justin Murray. She is on the planning committee for the Lung Force 5k walk with the American Lung Association, and the team captain for Team Kayla. She also organizes the food and toy drives for the office. Jean is the administrative assistant to the tax & bookkeeping department. Jean file's the tax returns and extensions electronically, provides clients with needed documents, and communicates with clients to get data in the office when required. Jean enjoys spending time with her family, friends, and playing volleyball. Staci joined The Glazer Group in March 2015 as the receptionist. Outside of work, Staci spends her time alongside her daughters, Madison (8) & Brielle (2). She is an avid crafter who is always looking for a new DIY project to take on. She collects anchors and Dallas Cowboys memorabilia.